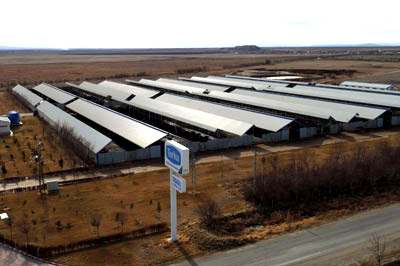 Founded to support and develop stockbreeding in addition to plant production, Meat-Milk Integrated Plant with the largest production capacity in the world is in Meram Campus. Panagro Meat-Milk Integrated Facility is the largest in the sector in our country with 80 thousand square meter area on 343 thousand square meter outdoor area. There are 7 ranches and an embryo production center, established at different locations and carrying out production based on operation. Torku Bordo Fermented Carrot Juice Production Facility began its activities in 2014 to offer fermented carrot juice, which is a healthy drink, in its most natural form to domestic consumers and consumers abroad at Meram Campus, where the most modern integrated meat and milk facilities are located.